Bust out your garden/CSA/farmer’s market/farm stand veggies this week because every one of these recipes (or suggested sides) is packed with seasonal goodness. Pasta, chicken, hot dogs, curry, and a sheet pan dinner – eating at home doesn’t get better than this! One-pot broccoli and 3 cheese pasta by My Kitchen Love: Shouldn’t every week start off with an easy one-pot pasta meal? 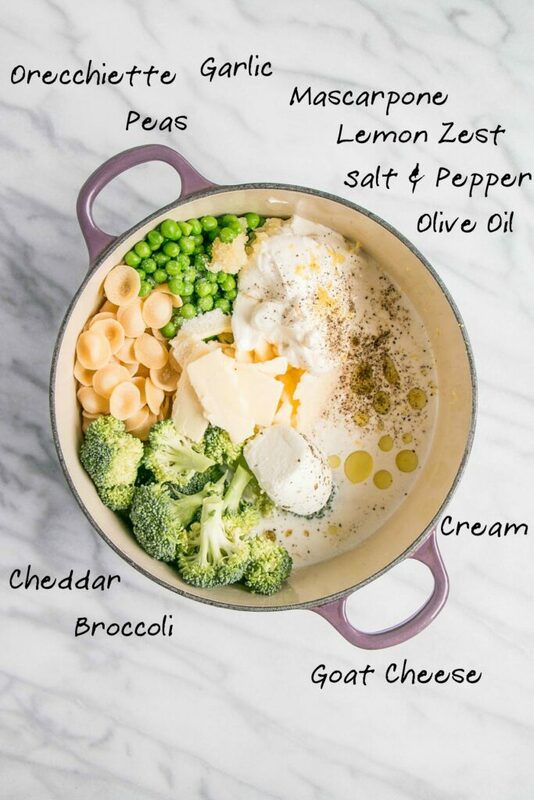 I love the idea of adding broccoli and peas to this one – why choose? – in addition to 3 cheeses and some cream. It’s an indulgent meal buuuut it’s quick and only dirties one pot so I’m game! You? Tex-Mex rancheros hot dogs by Smells Like Home: I’m switching out Taco Tuesday for Tex-Mex Tuesday this week, kids. I couldn’t pass on including one of our favorite hot dog recipes in this weekly series especially because we’re in the middle of hot dog season and well, you just need this recipe in your lives. 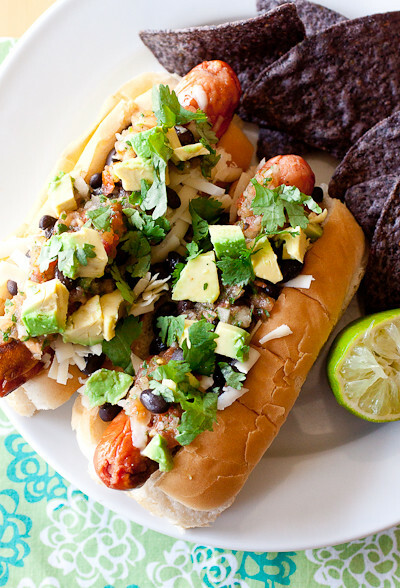 These hot dogs are basically loaded with nacho toppings which means their adaptable and always well-loved! Pair with a roasted corn salad or broccoli slaw and you’ve got yourself a full meal. 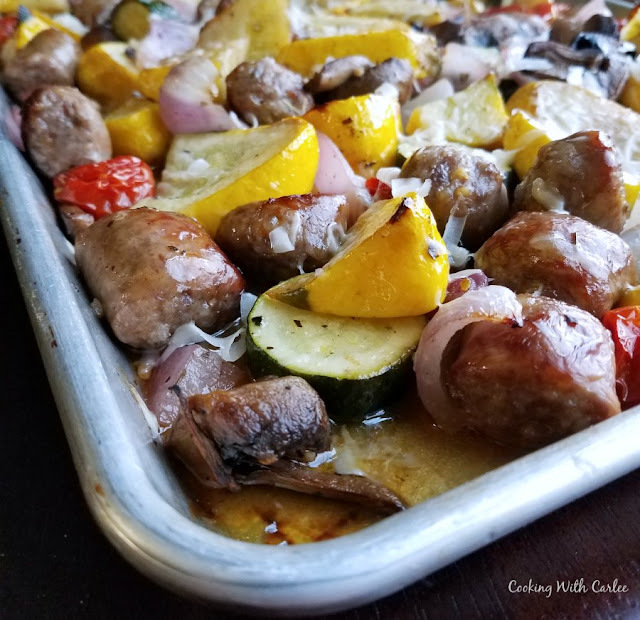 Italian sausage & summer veggie sheet pan dinner by Cooking with Carlee: Sheet pan dinners, like one-pot meals, are actual life-savers on weeknights. Cut everything up, toss on a sheet pan, and bake. This one takes advantage of the summer veggie bounty and I just love it! 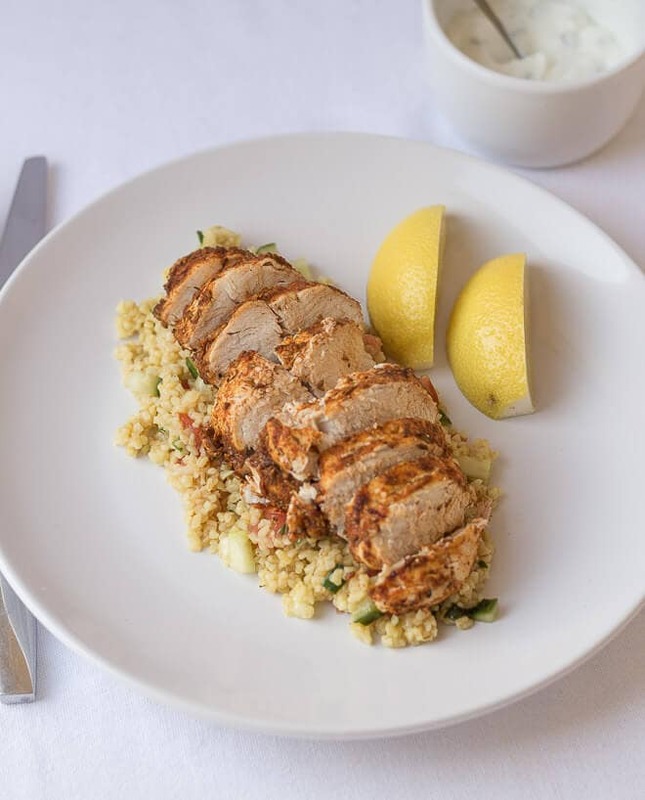 Serve over pasta or rice, or nothing at all for a low-carb or gluten-free meal. Winner winner sheet pan dinner! 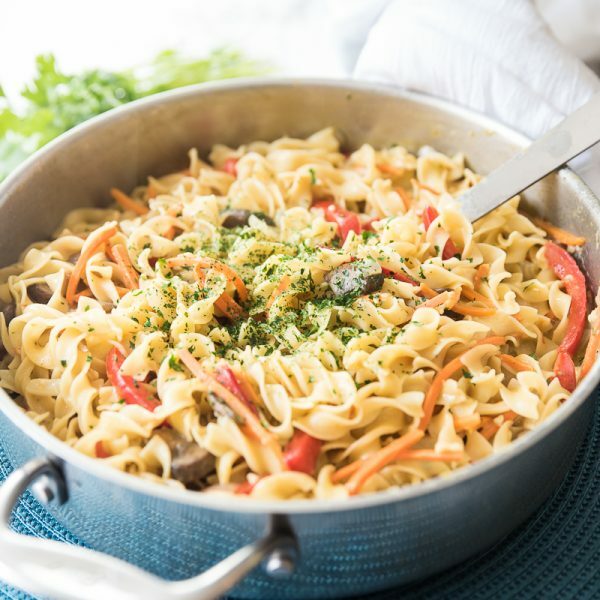 One-pot Thai green curry noodles by Delicious Everyday: If curry means getting out of your cooking comfort zone, then this recipe is for you! An under 30-minute one-pot meal with loads of fresh veggies, a homemade curry sauce, and nooooodles is always right up my alley and I think it will be right up yours too. No-bake s’mores bars by Smells Like Home (hi hi hi!! ): You guys! 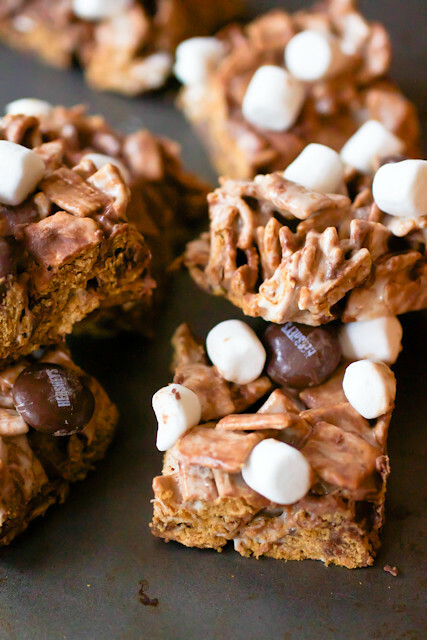 If you’re a fan of the ease of making rice krispies treats, then this Golden Grahams-based s’mores bar recipe is for YOU! It’s the perfect summer dessert and the absolute ultimate treat to bring to a summer BBQ or play date. Make them in under 10 minutes and you’re out the door! I love your website name. Since I started a keto diet, I have been cooking every day and one of the best things must be the smell of fresh bread or a a delicious pie. 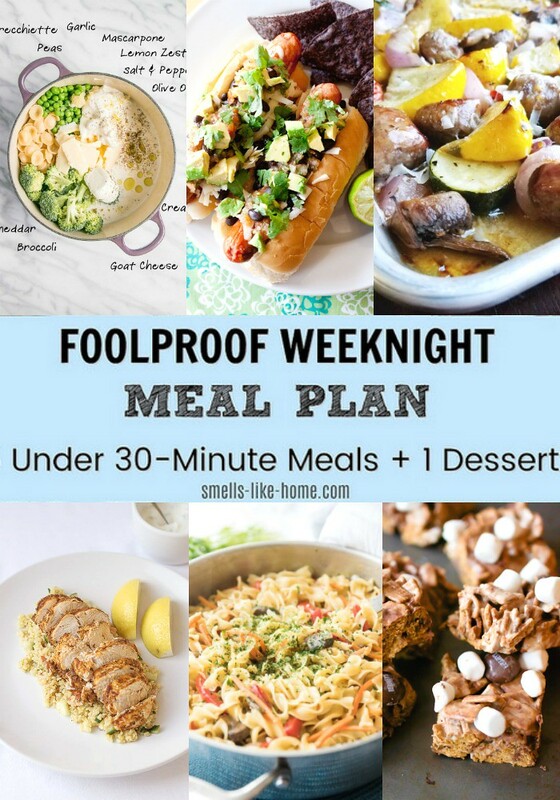 I love your idea with week night meal plans and I am definitely converting the meatless Monday recipe into a low carb version. Thanks, Noline! I love that so many of these recipes are easily adaptable to other eating preferences. And I couldn’t agree with you more about the smell of fresh bread – the BEST! !